A new yacht charter base in Greece with a fleet of monohull sailing yachts opens for the new season in Sami on Kefalonia / Cephalonia Island. Sami is a perfect starting port to discover the Southern Ionian Sea, Kefalonia and other islands like Zakynthos, Ithaki, Kalamos, Kastos and Meganisi. Direct flight connections to several European cities and as well ferry connections from the mainland make the access to the base easy. Kefalonia became popular when the movie “Captain Corelli’s Mandolin” was released. More and more tourists visited the island to discover the magical landscapes featured on the movie. 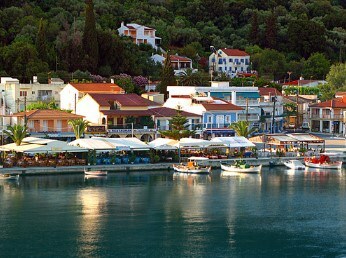 Sami is a beautiful town and offers all services yacht charter crews will need for their cruise in the Ionian Sea.